The deeper you dig into Butterfingers’ second release, the more musical layers you’ll find. 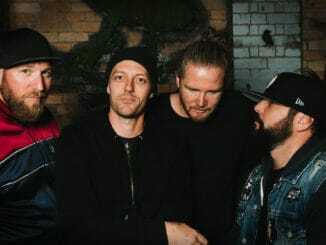 Butterfingers (Eddie Jacobson, David Crane, Damian Green, Olly Thomas) continue in the same hip-hop/rap/rock genre as their first release, Breakfast at Fatboys, but with The Deeper You Dig they go a few schizophrenic steps further. 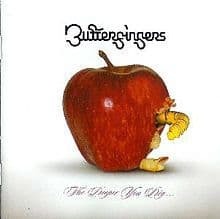 Butterfingers’ hip-hop becomes funkier and more intense, their rap more mature and insightful, and their rock heavier – interspersed with skillful arrangements of punk, funk, ska, pop, and lots of wild distortion. Loving a challenge, Butterfingers throw you a curve ball in the opener, Anthem, where they question what genre they could be slot into and how the media might analyse their music with the lyrics – “Punk rock ethic but funky copasetic / and poetically a headache to critics and the censors.” Unnecessarily primed with pre-emptive doses of Nurofen Plus, I found the lyrics and music eccentrically interesting and Butterfingers’ diversity refreshing. However, though Anthem trashes major music labels and the way the industry sometimes operates, in the liner notes the band does give credit where it’s undeniably due: thanking Dave Batty (Custom Made Touring) “for being the best booking agent that money can’t buy” and Jacobson thanks Michael Parisi (“you work for a major and I still loves ya”). 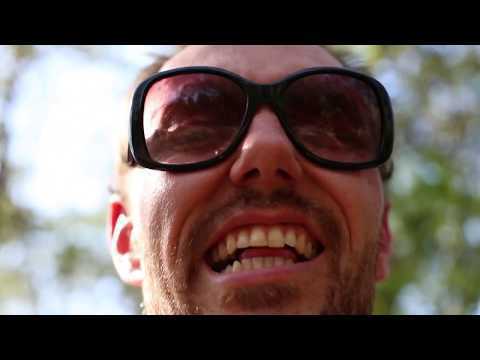 In the funk/hip-hop track Beautiful Music, Jacobson again sings about hardships in creating music: “Suffer for your art and let it take its toll / Do I have to make another sacrifice? / And sell my soul to anyone who could /Give me the power to have written and sung.” Many bands would relate. Beautiful Music also highlights Jacobson’s able vocals (he doesn’t just rap! ), as does Ska Chase. Ska Chase in turn epitomises the consummate diversity of Butterfingers. Its frenzied fusion of ska mixed with bursts of heavy guitars is thrilling as we are taken on the ride of a lifetime through racism, where the song’s protagonist is forced to shoot his attacking police officer and then consequently flee to Mexico. On the hip-hop side, there’s FIGJAM which was released as a single in June 2005 and is now included on the album. Though familiar, it is still as infectious as ever with Jacobson sounding like an Aussie Mike Skinner – fortunately for the listener he hasn’t adopted a fake English (or American even) accent. Hip-hop meets funk on Like Em When They’re Trouble and on Butterfingers’ current single Get Up Outta The Dirt. The latter is very upbeat, reminiscent of James Brown’s Get Up Off That Thing, both in rhythmic style and lyrical theme. So what genre do Butterfingers belong to? Is there a genre for eclectic coolness with a twist? Who cares! They rock!